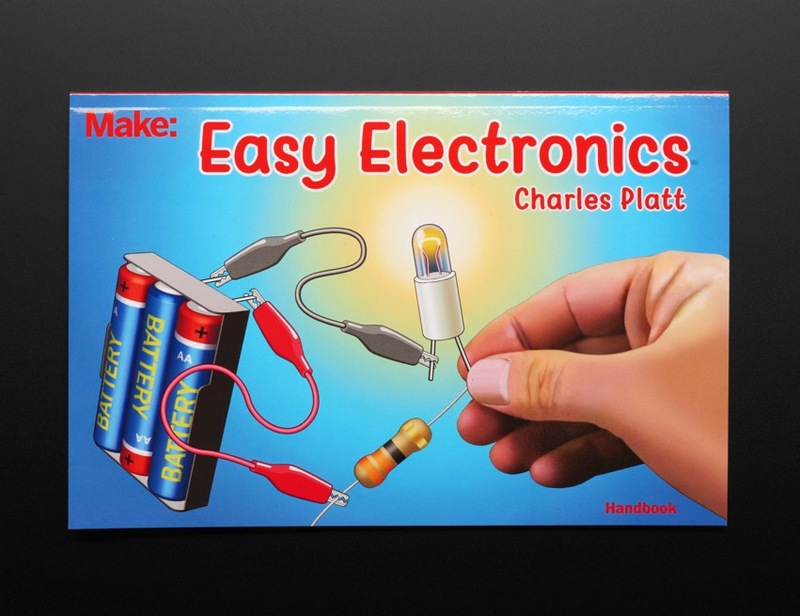 NEW PRODUCT – Easy Electronics by Charles Platt « Adafruit Industries – Makers, hackers, artists, designers and engineers! 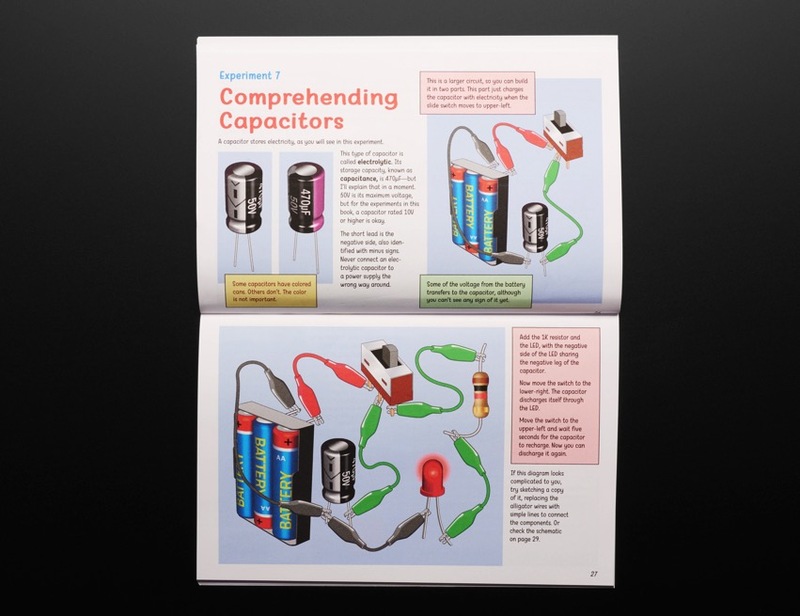 Can we find a more concise, more colorfully illustrated handbook than Make: Easy Electronics by Charles Platt? Doubtful. 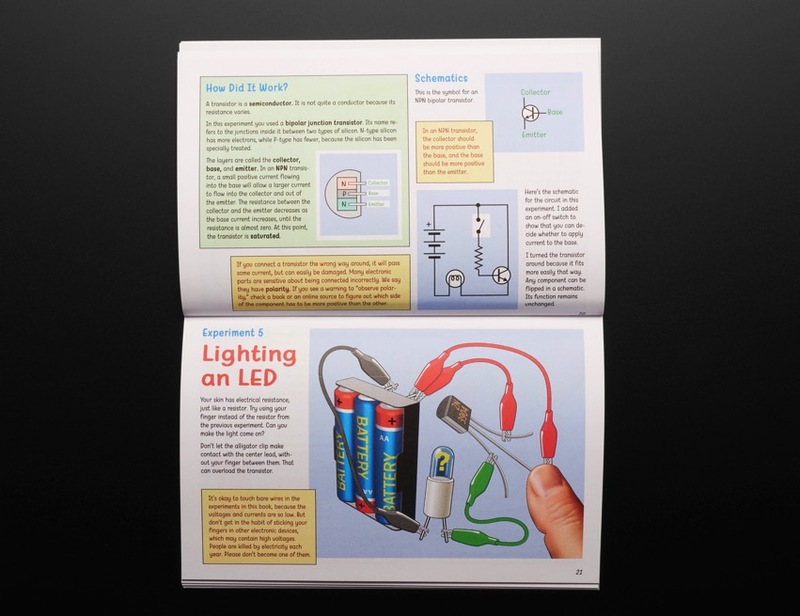 We carry a number of his more advanced guidebooks, but this 50-page volume really simplifies the building blocks of maker fundamentals. 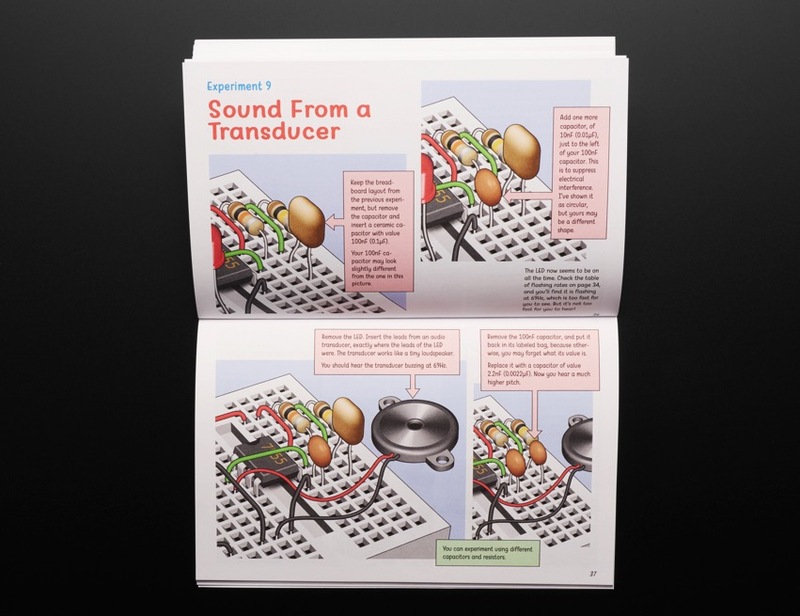 The illustrations are amazing, and make it a really fun read. 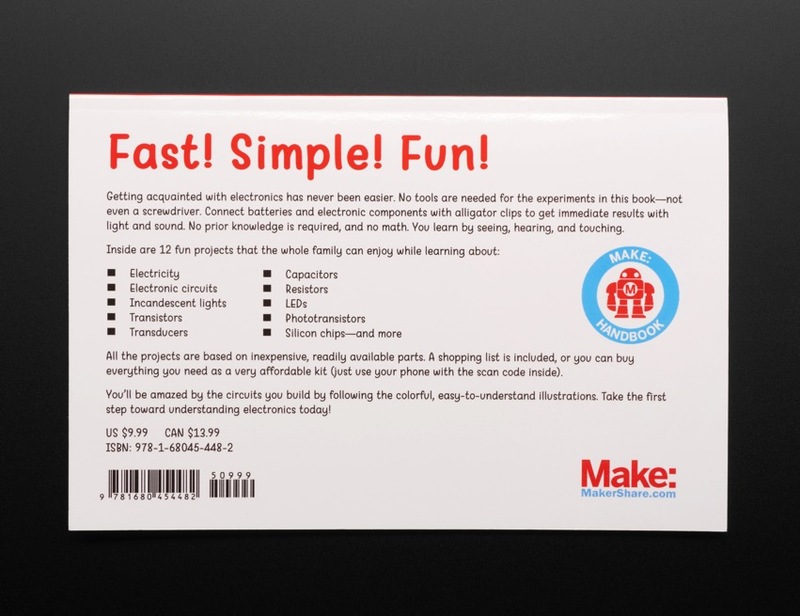 Get acquainted with the basics of electronics in one fun afternoon! No tools required. 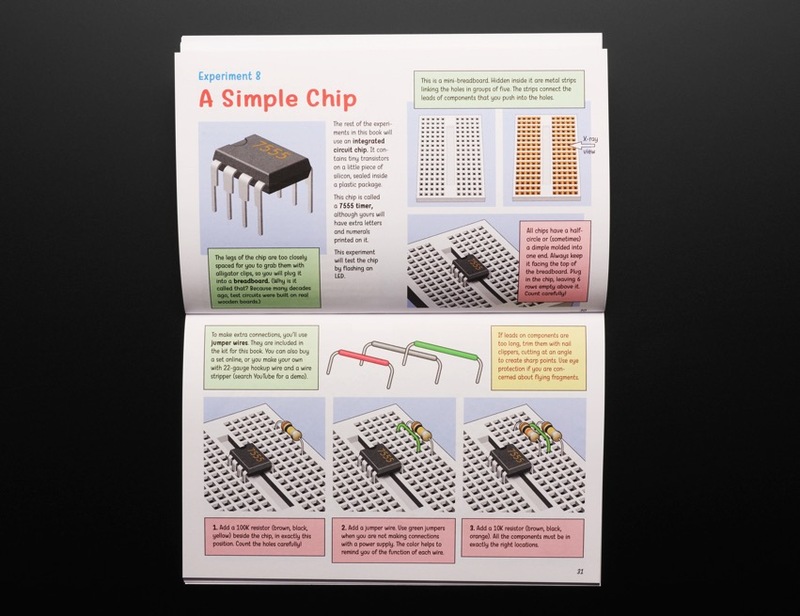 Each chapter is designed as a simple experiment, so you will have a solid understanding of the ABCs of amperes, breadboards, capacitors, and more!